We're writing to let you know, that as of November 8, 2017, some of your listings are in violation of eBay policies and require immediate update. (# redacted) of your listings contain(s) non-secure HTTP content. Starting in October 2017, Google Chrome - the browser used by almost half of all eBay buyers - will begin displaying the message "Not Secure" in the address bar when users visit standard HTTP pages or HTTPS pages that include non-secure HTTP content. We encourage you to immediately remove this content. (# redacted) of your listings contain(s) contact information such as phone number, email address or weblinks, which is in violation of listing policies. Non-compliant listings will soon be blocked. "Here we go again with these nonsense emails from eBay," wrote one seller, telling us that it is taking time to go through and make corrections on each offending listing. The seller said eBay itself inserted the problem link into their listings when they used the eBay TurboLister listing tool. "One would think since this is an eBay link that they would have done a sweep of the site to either remove all of them or update them months ago." With today's notices, eBay included a list of the specific listings it found to be non-compliant. The note caps off what has to be one of the most discouraging periods for sellers we've seen in eBay's history. Online selling expert Skip McGrath told us that of the dozen or so items eBay flagged, he has had only 3 sales over the past three months, whereas all of those items sell fairly steadily on Amazon. "It is easier to just kill the listings," he said. Know What I Want To See?? Of course, this would never happen, and if it did, the ''buyer'' can just assume a new eBay identity. Sadistic, punitive Brian Burke at it again. I got this email this morning, telling me 140 of my listings had HTTP "violations". When I clicked to look at about a dozen of them, I saw nothing but HTTPS in the listings. Called eBay and rep looked at a couple of the auctions, and said, yep, there's no violations. I'll report this to Tech. One thing, though. I recycle about 200-250 unsolds/quantity listings, launching them as NEW (not re-list) each month through a 3rd party lister. When I got essentially the same notice last month, I went into the guts of some of the auctions (on the eBay Revise auction page), and they did indeed have HTTP in them, not HTTPS. But, that was leftover HTML code from a scrolling showcase that the 3rd party lister had inserted for me, not in my descriptions, etc, and for some reason, was not removed from old, stored listings. Also, it was hidden from their (3rd party) users, so the only way I could access/delete it was when the listing was live on eBay, and I could use the Revise Auction page. Could not do it from the 3rd party site. I checked in the listings I launched on Nov 1, and which were the ones flagged in the email received this morning, and none of them still had that old code. The 3rd party listing service had replaced it with HTTPS. There should be no violations. So, did I get flagged because they "remember" the auctions from when I last launched them in October (with HTTP), or are they "looking" at the new versions launched in November, and deciding since they had the same title, they must not have changed??? I.e. not REALLY looking at them. Too bad we'll never know what's actually going on. And I wasted a perfectly good morning to get things done by having to put out this fire caused by the "firebugs" at eBay. I have 997 but when I try to edit, it can't find any! Got same usless message. BACK SPACE DELETE. Don't care Fleecebay, you want to block them, be my guest....Could care less. At first I thought there was a SERIOUS policy issue - about the same as any OTHER SILLY STUPID eBay issue (the boy who cried wolf) . Then I looked at the 3 whole listings - and all it was, was that the listings had embedded Amazon pictures in them ... some "emergency". I dont know who SKIP is - but Ive said it here 10000x - that for sellers of new items that are even remotely popular - Amazon is the place - period end of story. Yes, for alot of people (even myself) Amazon isnt a good fit or you have items that are blocked or cant be sold there - so theres no choice - I get it - I need not be reminded. BUT at the end of the day this is a box moving business - and eBay has NO idea how it works since they dont actually SELL anything. UNlike Ebay , my entire website is under the EV-SSL umbrella and STILL shows as Not Secure in the Google Chrome browser, because Google Chrome is JUNK. At this point, i'm pretty sure "Money Talks" and Google will make Big Money appear secure, but not the rest of us. CLASS ACTION needs to happen here. Yes, in the end and the final analysis, this is only a box moving business and Amazon and eBay both interfere with the moving of the boxes all the time. At least Amazon also move their own boxes in addition to ours. If you do not know who Skip is, then perhaps, you really have not be around all that long, or perhaps not know everything. LOL. I haven't received any emails yet and have no http content in any of my descriptions. That said, I do link to my eBay store in my descriptions. Isn't it sad that I'm actually considering removing that in case one of the reasons my sales are down so much is because they hide me from search results because I have a no-no link? I honestly don't believe they can tell it's a link to eBay and it's at least possible that they don't like the link. No clue if that's true or not, but it's a statement of how sad their marketplace functionality has become that the thought even enters my mind. ~sigh. my "policy violations" were all the Selling Manager Pro little man in the box that eBay had put at the bottom of all my "security violation" listings. I removed the offending little boxes that eBay had put at the end of my listings and now I have no violations. But eBay have violated my time and intelligence. They put the selling manager pro boxes at the bottom of my listings, I didn't do it and I had no control over it. Why didn't they just do a sweep and remove them themselves? A primary school child could write the code to do it! I mean Devin is only doing all these things to 'improve the marketplace', you know all the cross promoting of his sponsored listings, building his abomination Seller Hub so he can round up sellers into that scam to sell them promoted listings and stores on a website that can hardly serve a webpage. Then you have all of Devin's 'improvements of MyeBay' all his idiotic new pages like the purchase history page he is trying to force down our throats, and he is even building entire new Beta Pages of MyeBay that are already running as ghost pages behind the regular MyeBay pages that actually work, soon he will be trying to force an entire new MyeBay on sellers since they have rejected his Seller Hub lunacy. This is a CEO who has to be fired, he has finished dooming eBay, following in that moron Donahoe's footsteps, the same clown who hired him, Devin is Donahoe Jr.
How many of us of a certain age have heard ''Do what I say and not what I do''? Often stated when the parent messed up somewhere along the line and starts losing ground; or doesn't want to take responsibility for themselves but is quick to foist their demands or wishes onto the child. The latter seems to apply to eBay. And before some here get their knickers in a twist I am not implying sellers are children. Actually quite the contrary..Ebay needs to be an actual grown-up business and take responsibility in getting their business in order first before foisting all these requirements onto sellers with eBay being in violation or failing the same requirements. 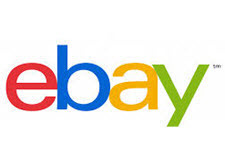 Ebay wants to be considered a tech company without being technical or technologically astute. With all the brandishing of the word ''fake''..here we have fake tech or maybe just bad tech. Meanwhile, the Stores still show as NOT SECURE on browsers -- due to eBay not having flipped them over to https in their system, totally beyond control of Store account users. The warning only shows up if you're using Chrome browser. We had to update our domain name for our website from http://www.website.com to https://www.website.com and our host server upgraded all of our pages without manually or physically doing anything else. I would expect Ebay had to do the same thing so guessing they could have pushed a few buttons and automatically updated each page with having sellers do anything? Sounds like they used the issue to get rid of unwanted listings? It's sort of BS because the only time a user needs a secure page is when they check out and buy a purchase entering private info like credit card and address, but alot of people would get scared just seeing the warning not realizing the only time they need a secure page is when they enter the above info. So i got that email. I used the free cross sell application. Every item they warned me about had been scrubbed on relist. Why eBay lets Google telkvthem how to run their business is beyond me. Cross selling improves saies and ebay is allowing Google to contro their business without so much as a whisper if complaint. Does Google own eBay? Is there an anti monopoly suit in the near futre here? eBay is basically finished due to the fact that they can not serve web pages to users no matter what browser they use, so all this https crap is not going to help them with this ongoing problem they have had for years in their data centers as far as server capacity is concerned, this is another Yahoo in the making and the company has been imploding for years now. All of Devin's idiotic tests and new features are going to finish off eBay when they could least afford to change everything so quickly, they have too many internal issues that they can not solve due to the incompetence of upper management who do not understand what it takes to pull off all their idiotic ideas technically. I'm sure the tech people in the company are telling the Board that Devin and his kooky ideas are not going to fly. Eagle you are exactly right. The secure pages are needed when signing in and at checkout when making purchases using private financial information. With that being said, many users seeing an alert warning about unsecured pages will be scared off. If that doesn't scare off buyers, eBay will scare off the rest by reminding buyers they will be ''safe'' from all their terrible, awful, sellers with Free Returns, Money-back Guarantees over and over and over... everywhere you look. From what it seems though from what eBuster posted, eBay has not secured in their system those having Stores. This goes with what I stated in my previous post. What is the point in paying a Store subscription if eBay hasn't updated their own system security compliance requirements? Will eBay block sellers entire Store? How much time will go by before eBay gets around to fixing YOUR Store? After the holidays? Will you think your listings are having visibility in searches but are really not?